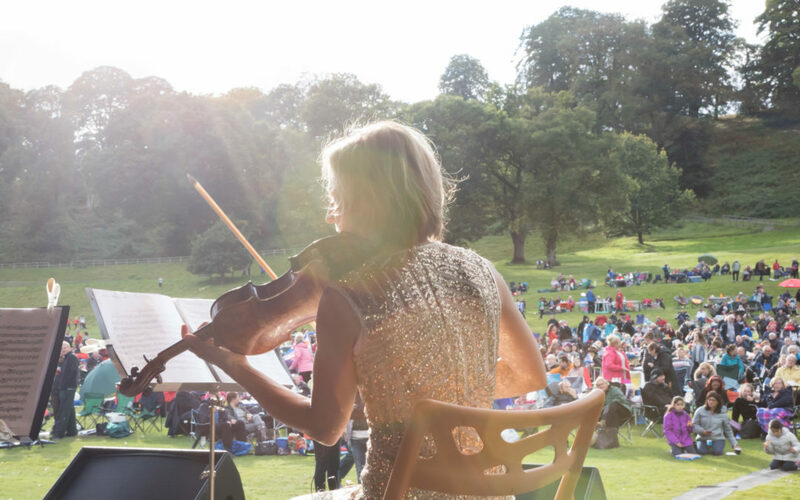 We thought it would be helpful to give you the lowdown on what to expect at Proms & Prosecco in the Park, so we’ve put together this little list of frequently asked questions. But, if there is anything else that you would like to know about the event, just get in touch and we’ll be happy to help! Are BBQs allowed at Proms & Prosecco in the Park? Can I bring a gazebo, mini-marquee, or tent? You are very welcome to bring your own drinks, including alcohol, to accompany your picnic. We would also encourage you to also support our local traders by purchasing some food and drink from our food stalls and bars. No, not at all. You can stay for all of the afternoon and evening or just for some of the event, or leave the event and return later if you like. A wristband will be issued to anyone leaving the event and wishing to re-enter. Re-admittance will only be permitted to those with a wristband. Yes, the pedestrian entrance to Chetwynd Deer Park will be open on Chetwynd Road. It is a short walk up a small incline from this entrance. We do ask that you avoid parking on Chetwynd Road or on Deer Park Drive. There is ample free parking available on site. Please follow the signage to the car parks and park as directed by our marshals. Absolutely, the event is suitable for all generations! Tickets for under 13’s are free of charge, but please note that you do still need to order a ticket for children under 13. All children must be accompanied by an adult and we have lots of activities for children as well as acres of space for them to run around and stretch their legs! We encourage you to get a big family group together as there will be something for everyone! This is an outdoor event with no seating provided, so please do bring your own seating. We encourage you to bring picnic blankets, table, chairs and any home comforts to help you settle in for a relaxing afternoon and evening. Yes, it is. We have disabled parking right next to the seating area and the ground is very flat. You are welcome to pick the best spot for you to enjoy the event, whether that’s close to the stage, car park, toilets or food stalls. Our friendly marshals will be very happy to provide any other assistance that is required. If you need more information in advance of the event, or if you have any questions, please contact us or phone 01952 371476. The gates to Chetwynd Deer Park will open at 2pm and the live music begins at 3pm. The event is scheduled to finish at 9pm.